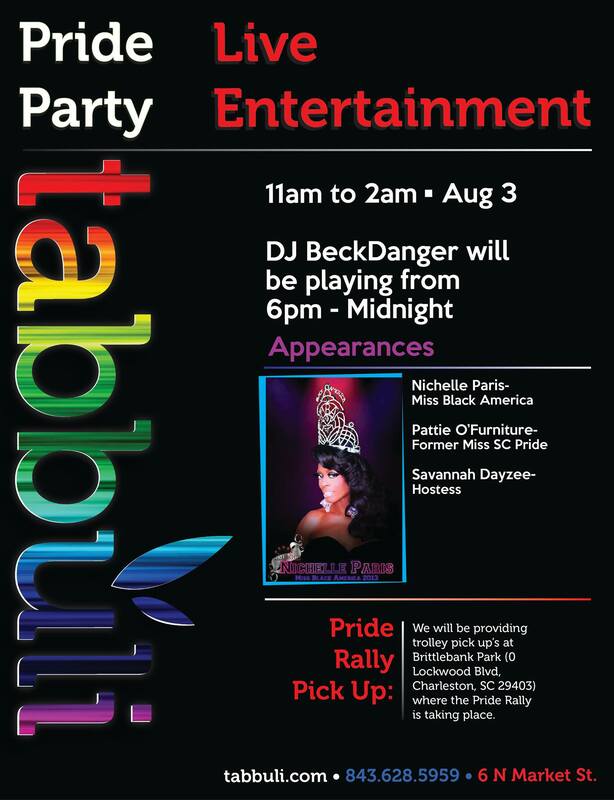 Fun and Equality for All at Tabbuli’s Pride Party! Here at Tabbuli, we’re all about an equally good time for everyone. That’s why we are having a PRIDE PARTY this Saturday, August 3, to coincide with Charleston’s Gay Pride Celebration. Plus, we’re going to be in the Gay Pride Parade in downtown Charleston with our very own Tabbuli float! Check out the website charlestonpridefestival.org for more information. Whether you are gay, straight, bisexual or transgender you’ll enjoy the festivities and specials we have lined up. 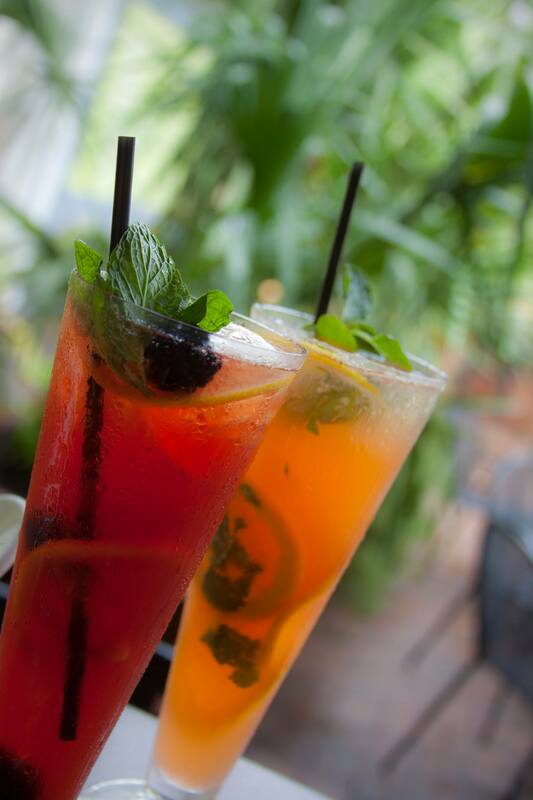 Take a seat at our enticing outdoor patio, order one of our handcrafted cocktails and enjoy our entertainment lineup. The show begins around 9 pm, and includes performances by several famous faces, such as Former Miss South Carolina Pride, Patti O’Furniture, as well as Miss Black America, Nichelle Paris. Music will be pumping while you party thanks to deejay BeckDanger, who will keep the mood elevated until midnight or even later. Check out our website, tabbuli.com, for more information.